The Notepad-12FX 12-channel mixer makes it easy to get legendary Sound craft sound for your music, podcasts or videos. The Notepad-12FX combines professional-grade analog components, renowned HARMAN digital signal processing and a built-in USB audio interface to use with your favorite Mac or PC editing software. Whether you’re a singer-songwriter or a podcaster, the Notepad-12FX mixer offers best-in-class features like Lexicon effects, so you can bring a level of polish to your creative productions that’s sure to impress. 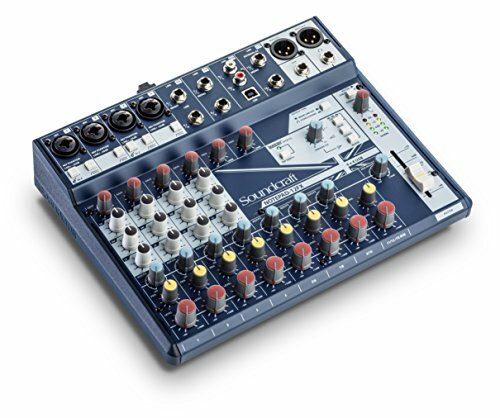 If you have any questions about this product by Soundcraft, contact us by completing and submitting the form below. If you are looking for a specif part number, please include it with your message.